Earlier this year, my grandma gave me a basket full of shells that she had picked from the beach during a Florida vacation. I used most of the shells to create jewelry for Watercolor Submarine, but I saved a special extra large one to make a Christmas gift for my grandma. 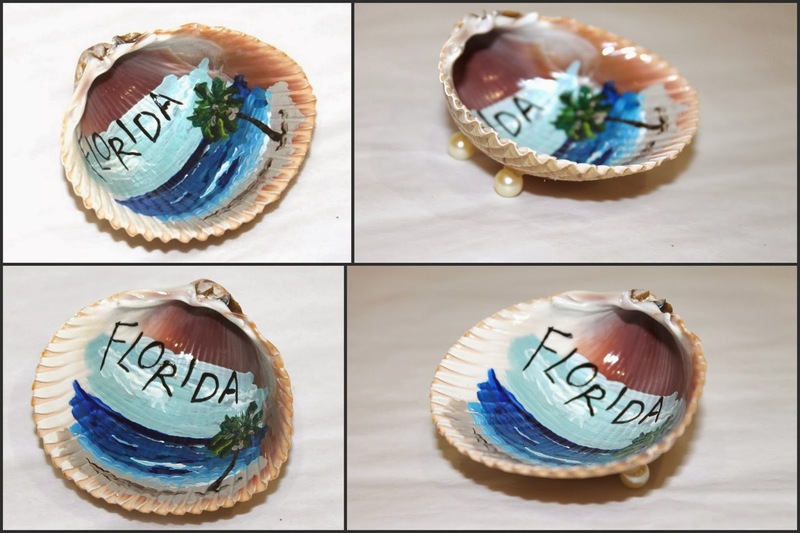 I painted the shell with a Florida palm tree theme to celebrate the vacation she was on when she found the shell. I also hot glued on a couple of little pearl beads to act as feet to stabilize the shell. I'm imagining it full of little rings and things on her dresser.